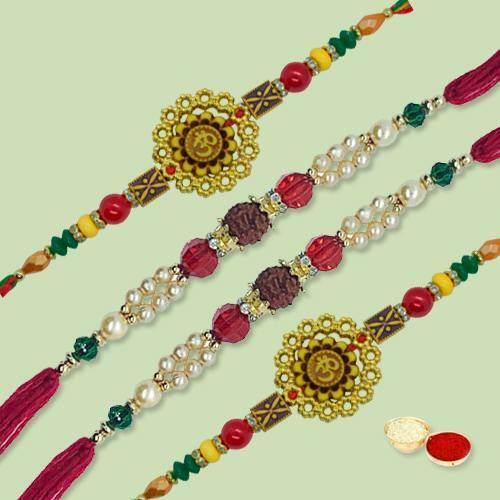 Let your siblings or dear ones relish this Raksha Bandhan with your gift of Lovely Exclusive Rakhi Thread with Blessings that is provided with a free Rakhi, Roli Tilak and Chawal. This Nicely Gift Wrapped Exclusive 4 Pcs Rakhi Thread Set for your brother with free Roli Tilak and Chawal. The Designs may be different.